13 Characters in all to choose from and unlock. 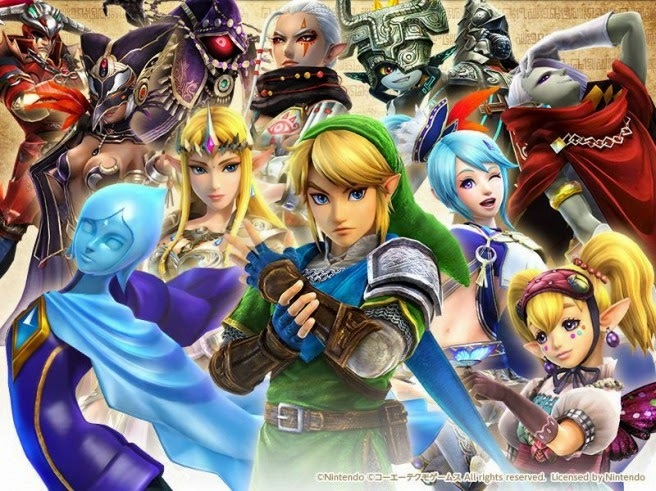 Hyrule Warriors further enhances the gaming experience by giving each character their own unique set of abilities and weapons. 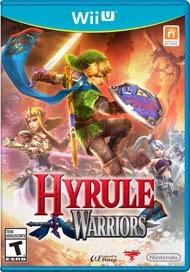 Players can level up their weapons and characters similar to role-playing games. The adventurous player can explore the land by opening chests, and exploring the vast environments to reveal items to collect, equip and use. Split into several stand-alone battles Hyrule Warriors offers recognizable locations such as Hyrule Field, Death Mountain, Twilight Field, and Skyloft all in amazing detail. 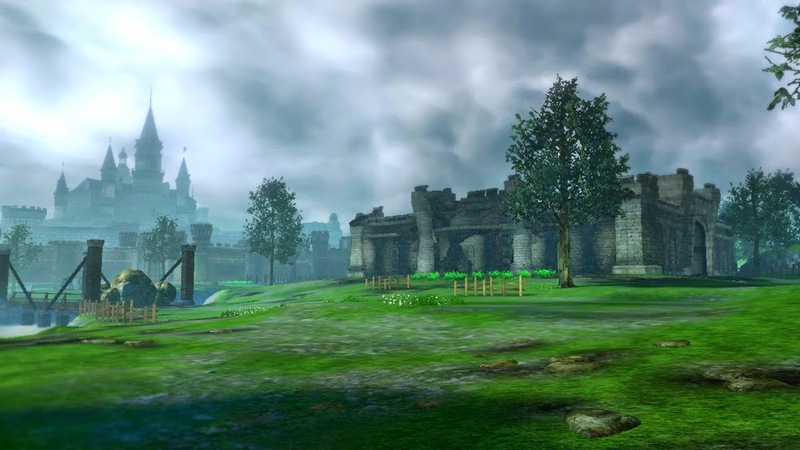 Beautiful environments such as Hyrule Field await you! If you are looking for multi player action then Hyrule Warriors is right up your alley. Grab a friend or family member to help in local 2 player co-op mode. 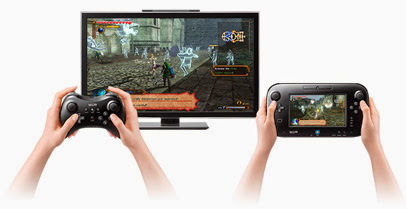 No need to worry about split screen gameplay as the Wii U GamePad offers the player his or her own view of the action on the screen while the second player uses the TV. Each player has their own screen thanks to the Wii U GamePad. The Adventure mode offers something different and unique. This mode features an over world map heavily inspired by the original Legend of Zelda games on the NES. Playing adventure mode will unlock additional characters, hard to find materials, and allow upgrades of their character’s features which will be useful in battle mode. 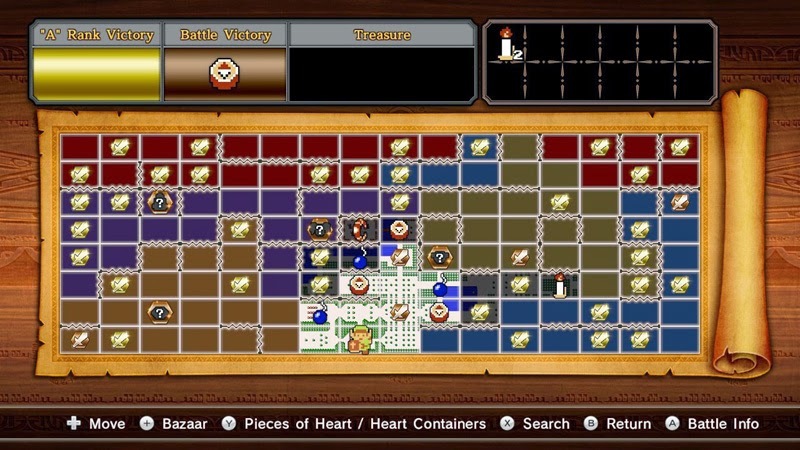 Adventure Mode is heavily inspired by the classic Zelda games. 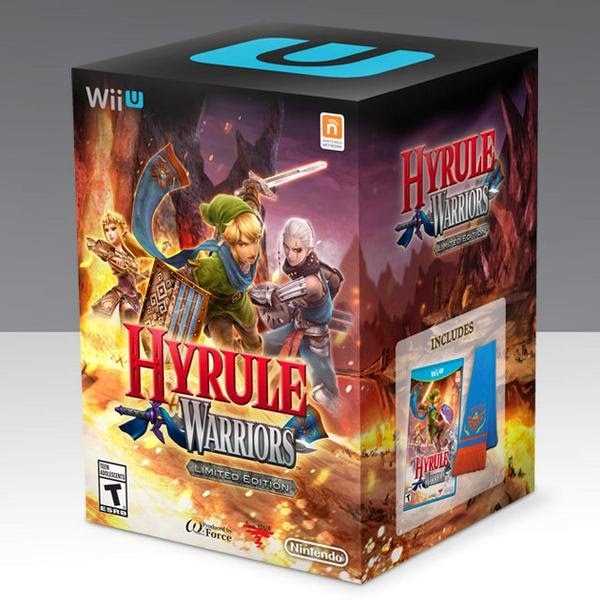 The Nintendo Store in New York City recently tweeted that it will have a limited supply come release day September 26 of a special edition Hyrule Warriors. If you are still not excited for this game then be sure to check out some outrageous gameplay and we are sure you will be hooked. Make sure you head down to your local retailer and pre-order, September 26th cannot come fast enough.